One of the responsibilities of property owners outside collecting rent (of course) and other payments from you is ensuring that their facility is maintained in top gear condition. It is their responsibility to guarantee that every safety measures are sufficiently availed in their property with every detail checked and confirmed. Small matters like the evenness of step heights for stairwells, provision of safety rails amongst other provisions should be in place. In this regard, it is not a new subject to hear of cases of slip and fall accidents as a result of uneven steps, these occurrences can be avoided provided the right measures are taken in advance. 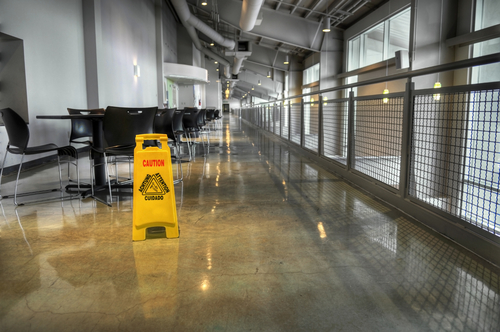 Now, if you or someone you know has suffered a serious slip and fall accident, you are encouraged to take things to court to ensure that such owners are brought to book for their negligence and that you receive the necessary attention. But to do this, you need to hire the services of a proficient slip and fall accident attorney. Rawa Law Group is here to support and represent you in your slip and fall accident claim. We are a team of reputable legal representatives here in Azusa, CA and we have garnered over 55 years of experience combined. With our expert services, you will enjoy relentless and devoted representation, such that will yield desired results. Of course, you’re not obligated to make any financial commitments when we review and consider your case. Only when we have won your case will you be required to make payments. That way, there’s no pressure on you to meet up financially. Allow us to guide you to victory, let one of our stellar slip and fall accident attorney in Azusa handle your case. Reach us via the address below.